A110-1 NMRS BIRDS FQTLY ON OR INVOF ARPT. A110-11 (E117) CT ANG AND U.S. ARMY NG. A110-12 ASDE-X IN USE. OPR TRANSPONDERS WITH ALT RPRTG MODE AND ADS-B (IF EQUIPPED) ENABLED ON ALL ARPT SFCS. 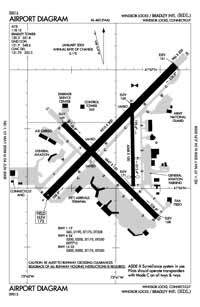 A110-13 EXCEPT FOR TAXIING, RY 01/19 OPEN FOR ACFT WITH WINGSPAN LESS THAN 79 FT.
A110-14 RWY 01 CLSD FOR ARRS TO ALL FIXED WING ACFT. A110-15 RWY 19 CLSD FOR DEPS TO ALL FIXED WING ACFT. A110-17 ANG: NSTD YELLOW AEROSPACE GND EQPT AND FIRE BOTTLE BOXES PAINTED ON ANG RAMP. A110-18 ARNG - DSN 636-7519/7520. C860-292-4519/4520. A110-19 ANG: AFLD MGR DOES NOT ISSUE OR STORE COMSEC FOR TRAN CREWS. A110-2 OPS CTC AUTOVON 636-8385; COML 860-627-3001. A110-20 CAUTION: ANG RAMP MRK MAY NOT BE APPROPRIATE FOR LARGE ACFT: FLW MARSHALLERS INSTR. KC35 ACFT USE CAUTION, FIRE HYDRANTS ARE 33' AND ARE LESS THAN 84 FT FM TAXILANE CNTRLN. A110-21 PARL TWY OPNS ON TWY C AND TWY B RSTD TO ACFT W/ WINGSPANS OF 171 FT OR LESS. A110-22 ACFT REQG US CUST SVCS MUST PARK ON THE CUST SPOT W/ THE NOSE OF THE ACFT FACING SW. CTC CUST AT 860-292-1314 WHEN PARKED. A110-23 BASH PHASE II INCRD BIRD ACTVTY SEP-OCT AND MAR-APR. A110-25 COLD TEMPERATURE RESTRICTED AIRPORT. ALTITUDE CORRECTION REQUIRED AT OR BELOW -23C. A110-26 FIXED WING ACFT USE LOW IDLE FOR TAXI, NO ENGINE CHECKS OR POWER RUNS ALLOWED ON THE ARNG RAMP DUE TO POSSIBLE FOD HAZARD. A110-4 ANG - OPR 0700-1530 TUES/FRI/SAT; 0700-2300 WED/THUR. A110-5 ANG - PPR V220-2356. A110-6 NO DE-ICING AVBL AT ANG. 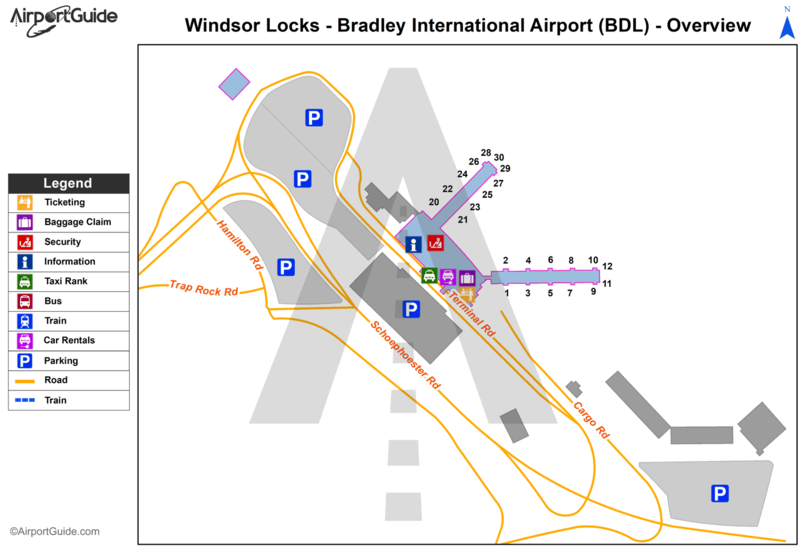 A110-7 TWY J CLOSED BTN S & R TO ACFT WITH WING SPANS IN EXCESS OF 170 FT.
A110-9 NO TRNG FLTS, NO PLAS, NO TGLS BTN: 2300 - 0700 MON THRU SAT & 2300 - 1200 SUN. A24 LDG FEE FOR BUS/CORPORATE & REVENUE PRODUCING ACFT. A31-06/24 HAS 245 FT BY 200 FT BLAST PAD SW END. A31-15/33 HAS 100 FT BY 200 FT BLAST PAD SE END. A43-06 VGSI AND GLIDEPATH NOT COINCIDENT. A43-24 VGSI AND GLIDEPATH NOT COINCIDENT. A43-33 VGSI AND GLIDEPATH NOT COINCIDENT. E147 1700 FT AGL HVY ACFT. E80 CUST BY PRIOR ARNGMT. Dual Dual Tandem Wheel Landing Gear: 710.